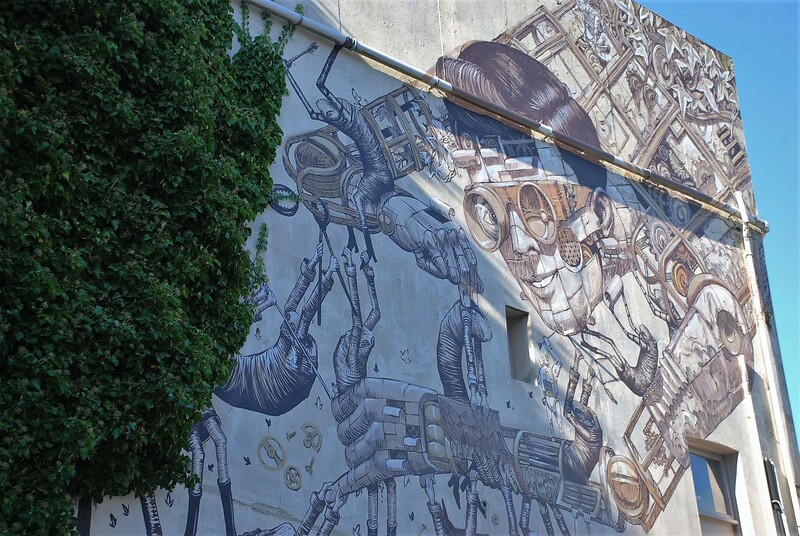 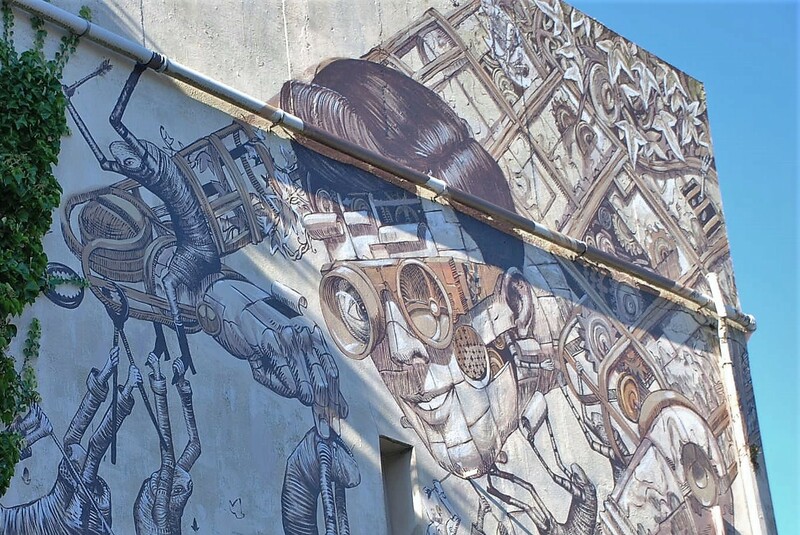 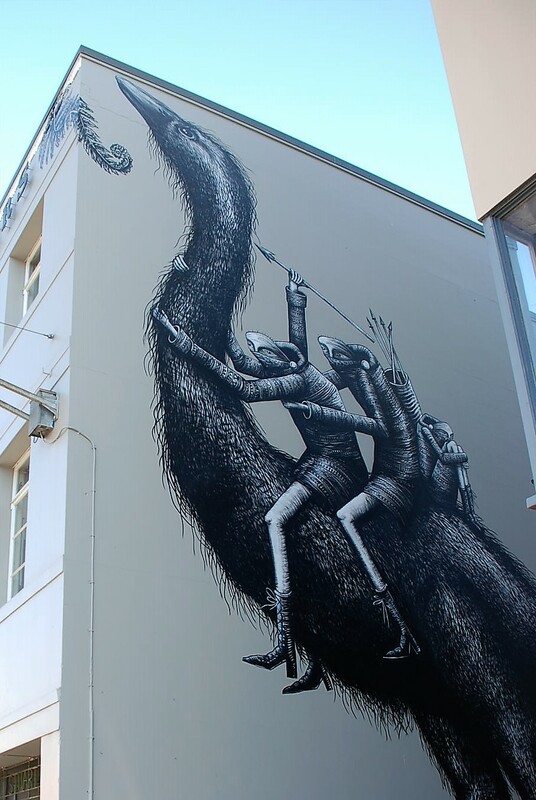 Dunedin has been long known for its artistic and creative sectors and now is home to a growing collection of amazing street art. 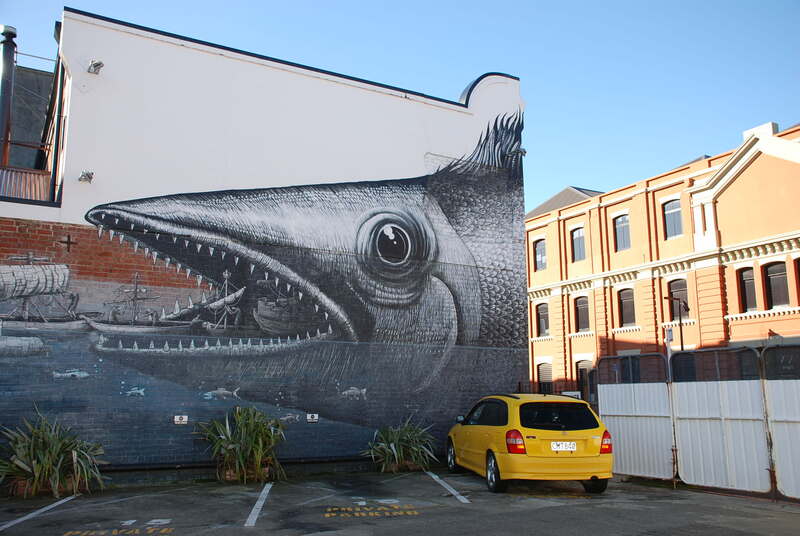 The formal Dunedin Street Art movement is coordinated by a group of volunteers dedicated to fundraising and bringing commissioned street art to the streets of Dunedin. 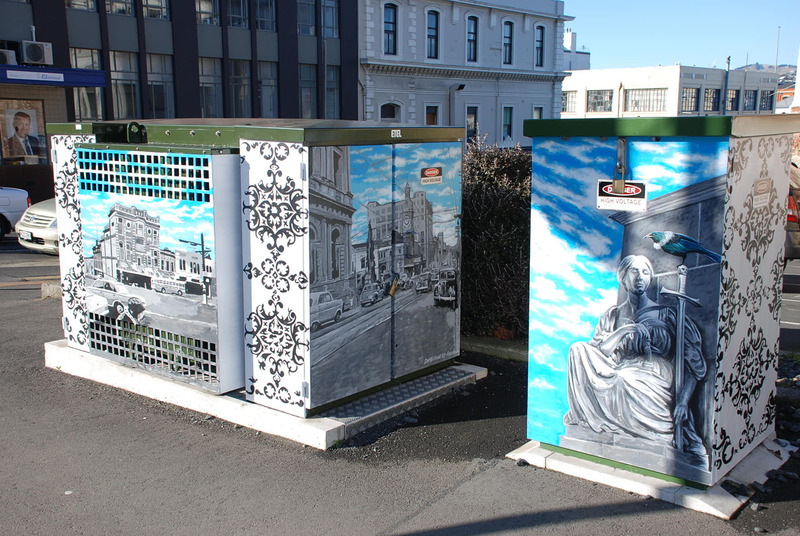 Starting just north of the Octagon (you can find the Street Art Trail map on line) the Trail weaves through the historic precinct and takes about an hour, depending on how long you stand and take in the detail of these stunning art works. 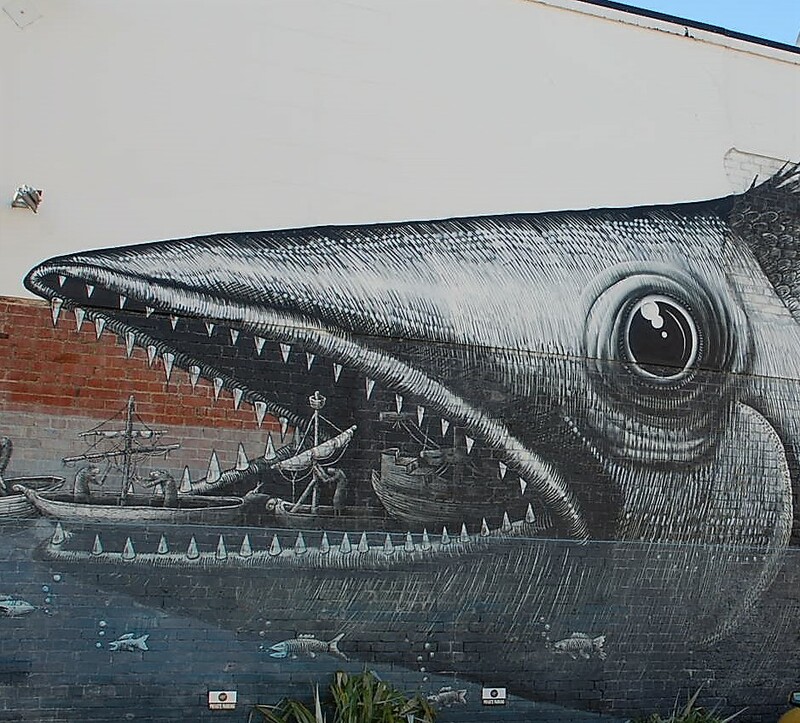 I’ve only shown a few here but with a number of photos for each one to capture as much details as possible and give a sense of scale – watch out for more, coming soon!! 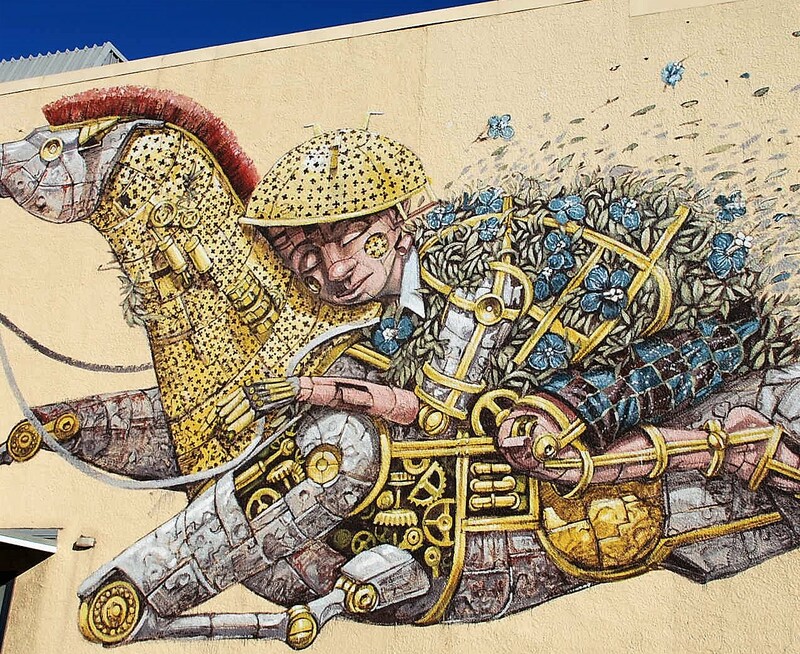 Corner of Jetty Street and Princes Street -“Riding Dreams” by Pixel Pancho demonstrates a complex interweaving of the human form, flora, and metal to create the surreal image of a ‘not quite human’ boy riding a fantastical metal horse reflecting his fascination with 1950s robots. 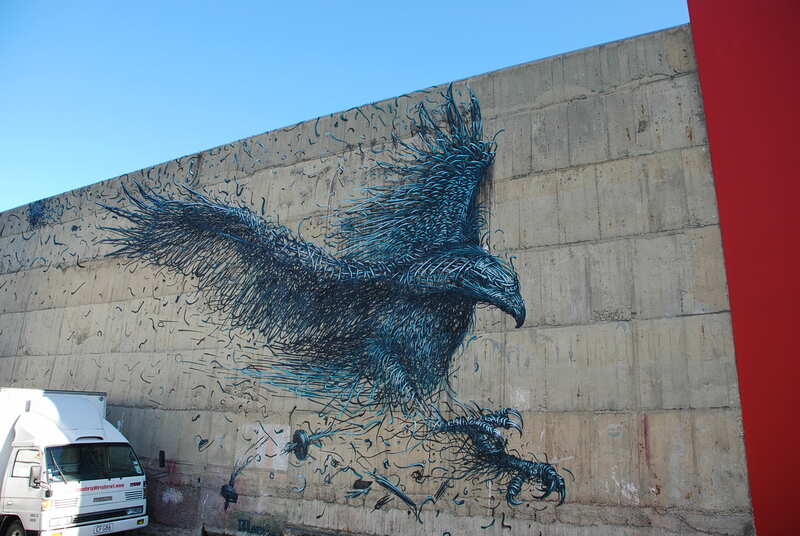 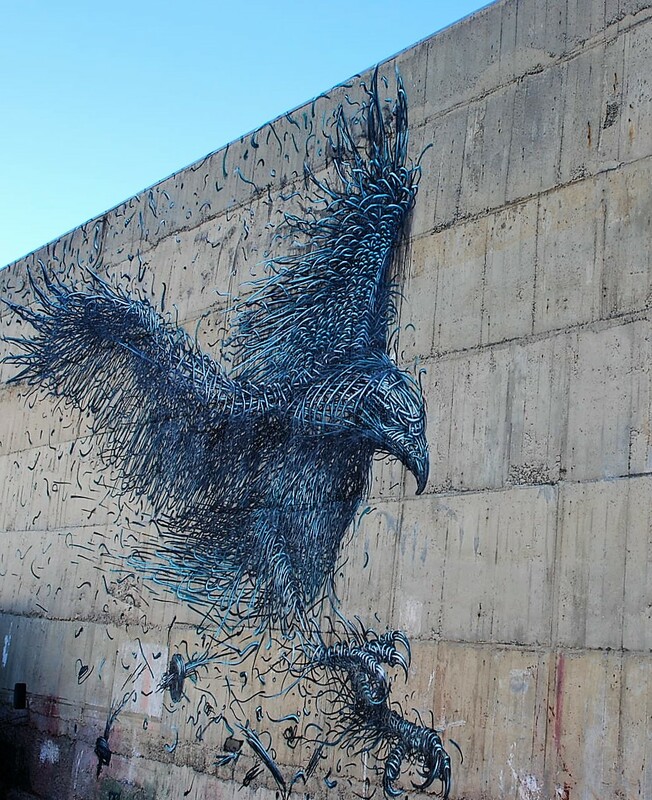 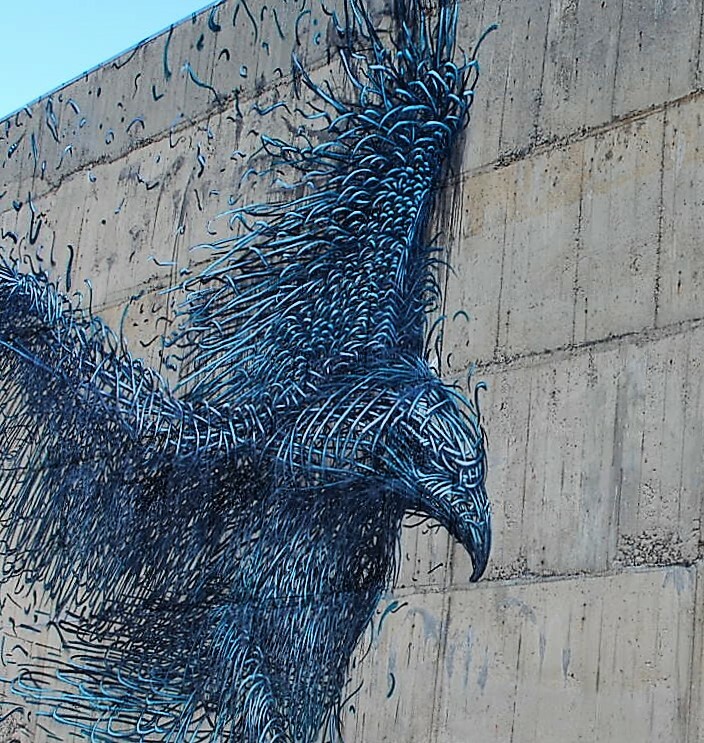 Stafford Street – Chinese artist DALeast represents New Zealand’s extinct Haast Eagle and is reflective of his unique style which presents the frenetic shape of animals and people as if they have been constructed out of shards of metal. 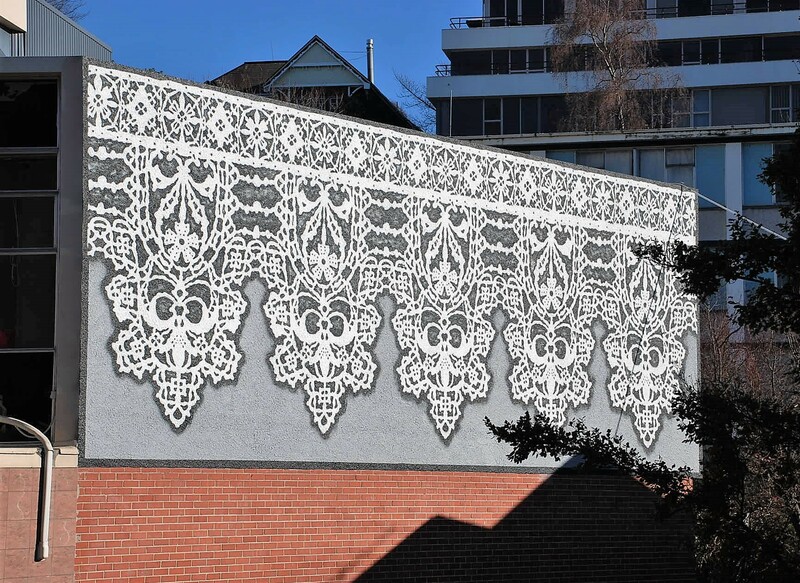 Moray Place – Polish artist NeSpoon’s artwork used local lace patterns for this beautiful piece. 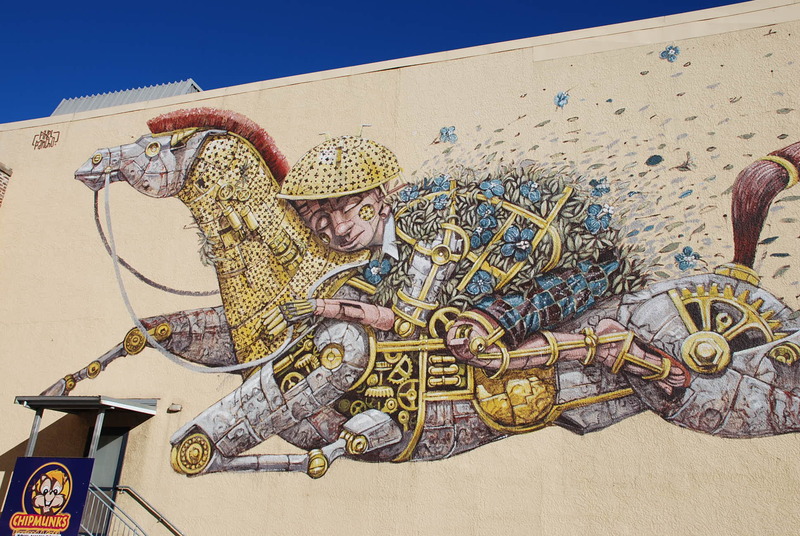 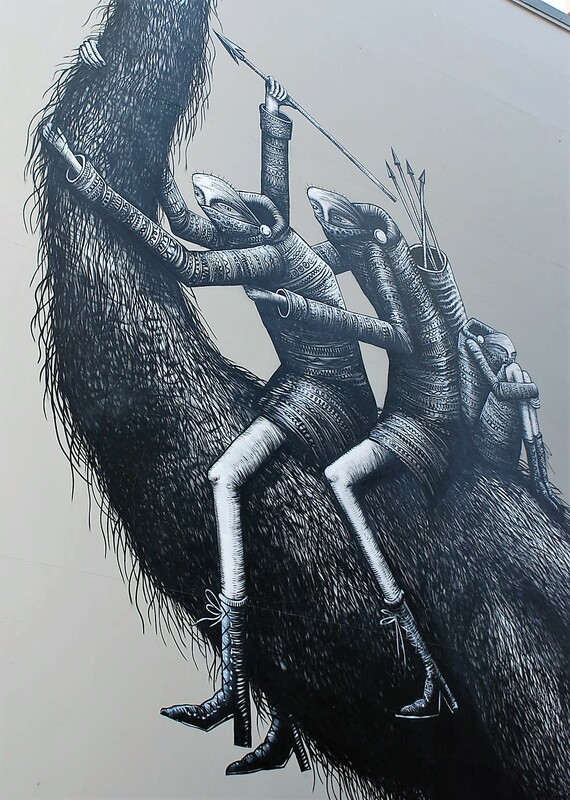 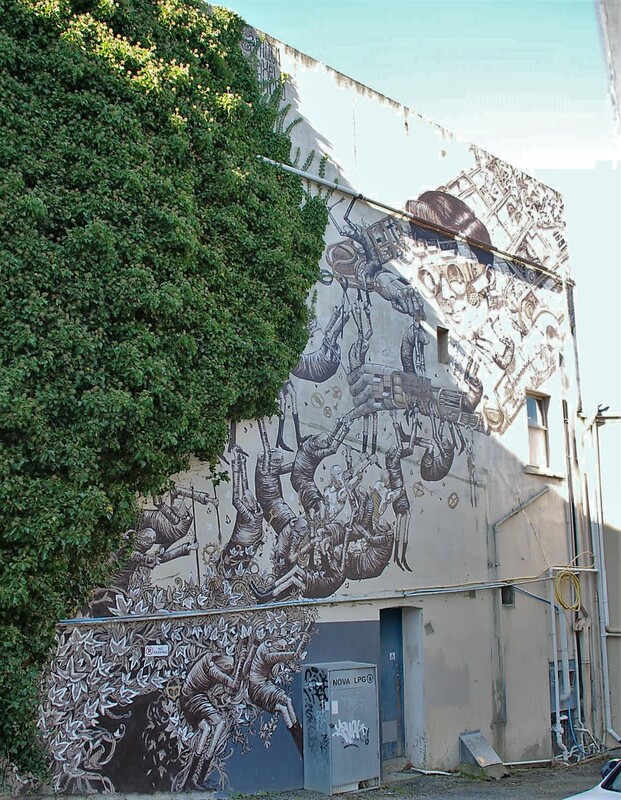 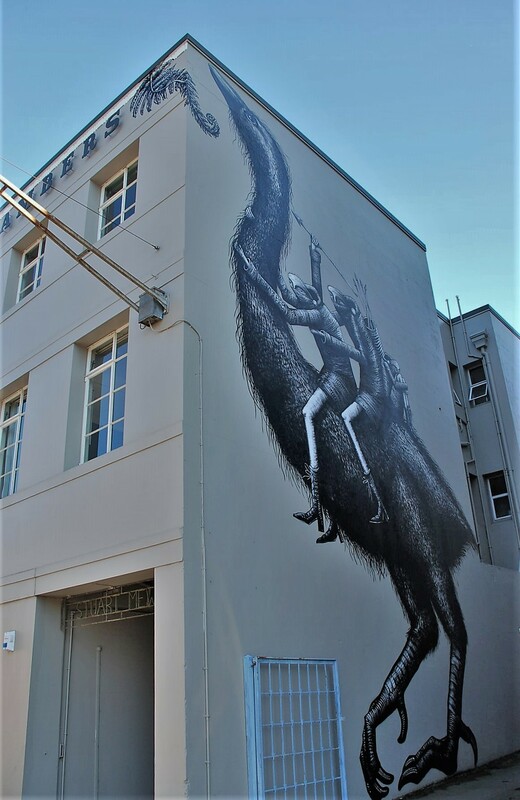 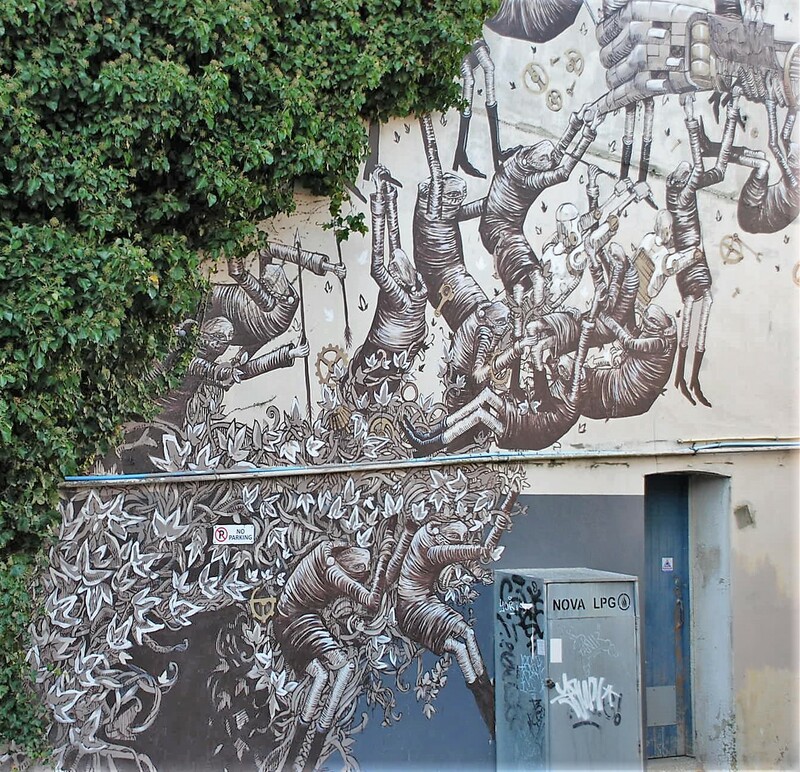 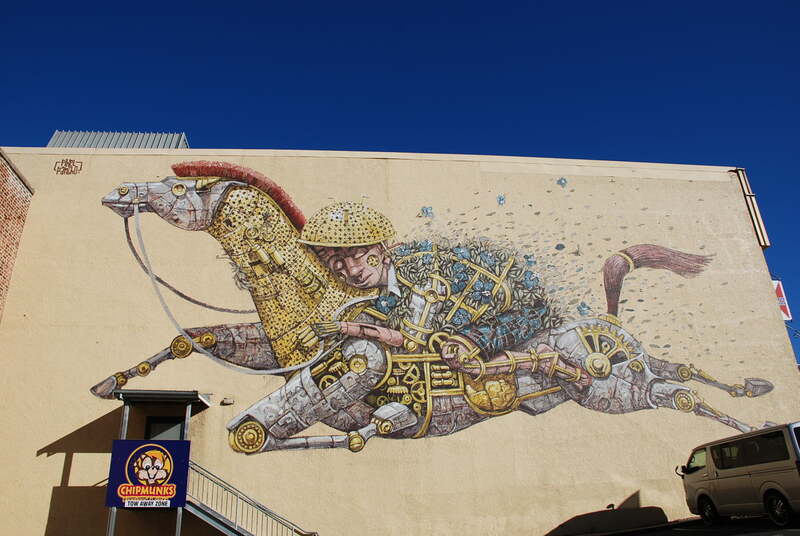 Moray Place – Here Phlegm paints his characters riding NZ’s extinct Moa bird. 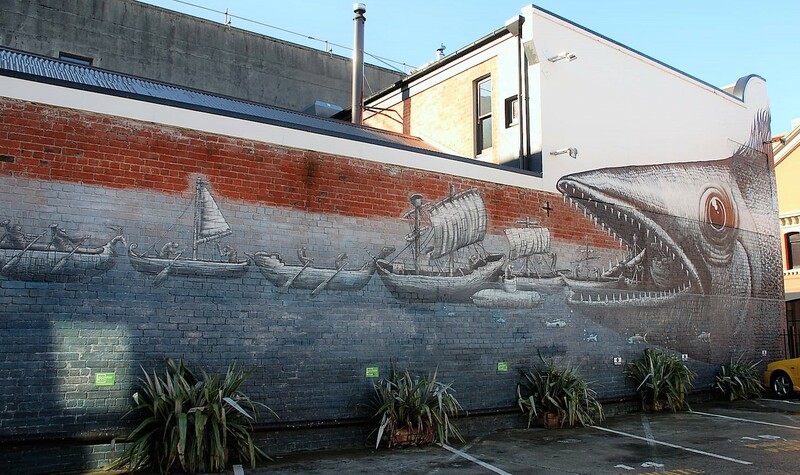 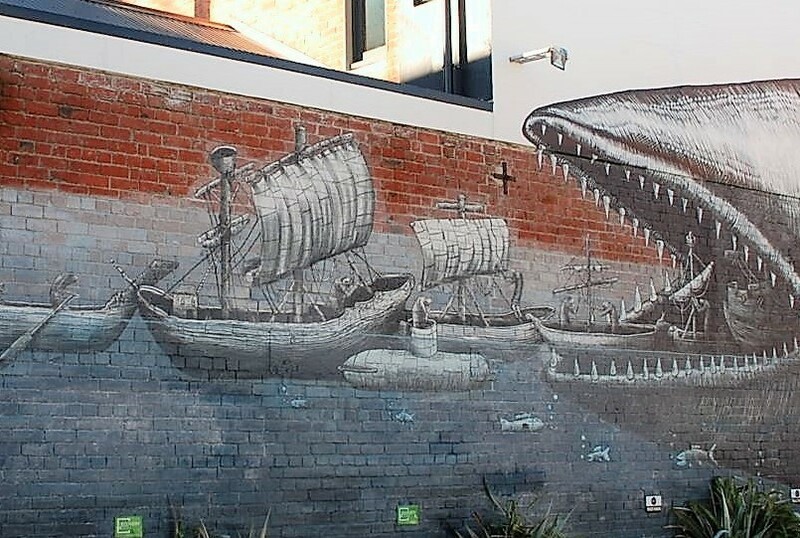 Vogel Street – Māori waka and a steam-punk like submarine (a reference to the incident where a Japanese submarine was supported in the Otago Harbour) emerge from a fish’s mouth in this distinctive piece by Phlegm which incorporates local history alongside his distinctly fantastical style.